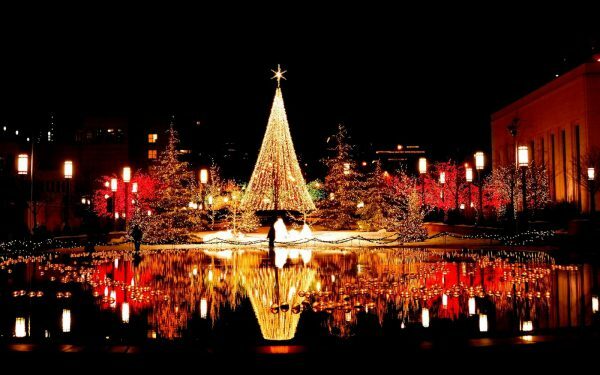 Travel Blog The best 6 places in India to celebrate the most beautiful time of the year, Christmas! December beginning marks the arrival of the most magical festival of the year – twinkling Christmas lights, candies and carols, decorated Christmas trees, scrumptious delicacies and the secret Santa! 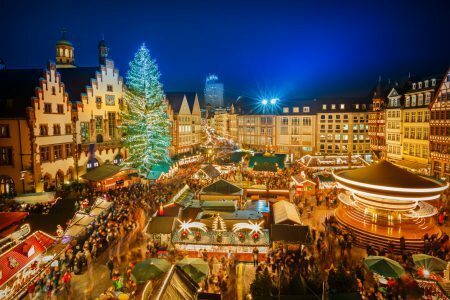 As the mercury dips and the merrymaking begins, it certainly calls for a vacation to a destination that is all set to charm you with its picture-perfect backdrops, joyful and unique Christmas celebrations. So, put on your Santa cap as we’ve got you a list of top 6 charming destinations in India that offer the chance for one of the most unforgettable Christmas holidays of a lifetime. 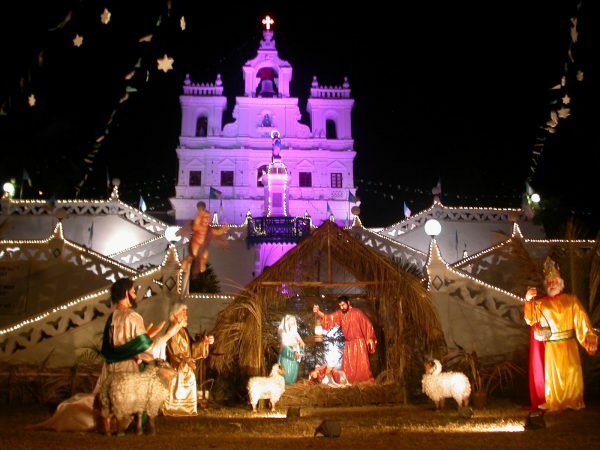 Goa certainly tops the best destinations’ list when it comes to celebrating Christmas in India. During the festival, the party capital of India gets adorned with vibrant lights and poinsettia flowers and one can actually feel the much-spoken warmth in the air. Dress your finest to attend the midnight mass in churches, night long beach parties at famous beaches like Candolim, Anjuna & Mapusa, or groove to the beats of the latest chart toppers in bars and pubs. And yes, don’t miss to experience the magic of midnight sky lit up by a splendid display of fireworks on the beaches. Insider’s Tip: Goa has its own airport, Dabolim Airport, just 29 km. from Panjim. You can also take a car on rent for self-drive to go to places off the beaten path and explore the party capital at your own pace. Don’t miss to play #AvisTravelQuiz, Explore Goa, and stand a chance to win a free Honda City ride and other assured great rewards. 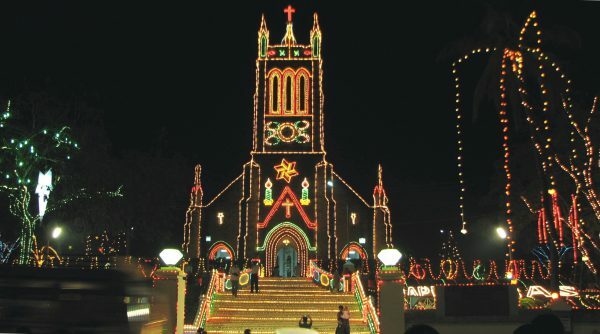 Kerala is a home for a number of churches and thus, one of the country’s most festive destinations in December. Kerala has its own local touch to this high spirit festival. 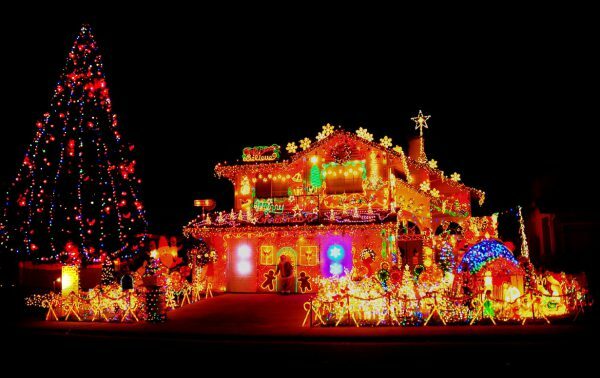 The churches and streets are gracefully decorated with lights and stars. 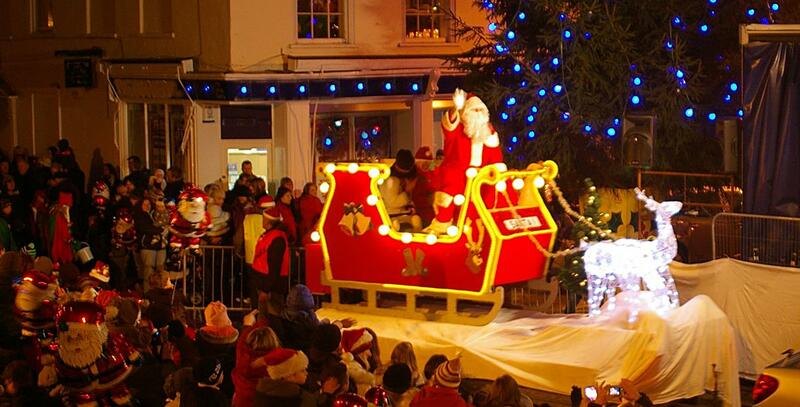 You can spot the nativities of Jesus birth at several streets and localities, participate in midnight mass and sing carols, treat yourself on the local succulent delicacies or have a bonfire on the beaches for a jolly, peaceful experience. Also, to get an insight into the culture of the state, you can attend the Cochin Carnival at Fort Kochi that begins on Christmas day. Insider’s Tip: There are three international airports in Kerala – Thiruvananthapuram, Kochi, and Calicut. 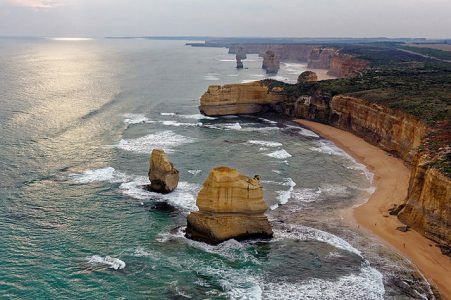 Self-drive enthusiasts can take a self-drive car rental in Chennai and travel via NH544 and get a chance to explore the beautiful temples of Mahabalipuram, French style architecture of Pondicherry, and the old world charm of Madurai. 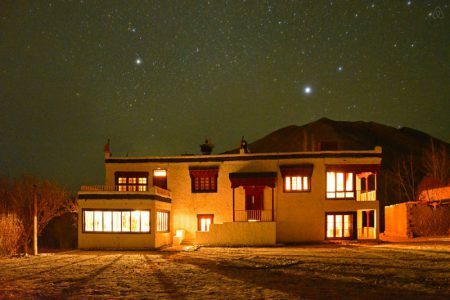 Suggested Read: 10 amazing Airbnb in India that will make you pack your bags! Pondicherry is a town which still has a lot of French influence owing to its French colonial history. Pondicherry should be should be your ultimate selection if you want to celebrate the Christmas in its full spirit which is peaceful at the same time. 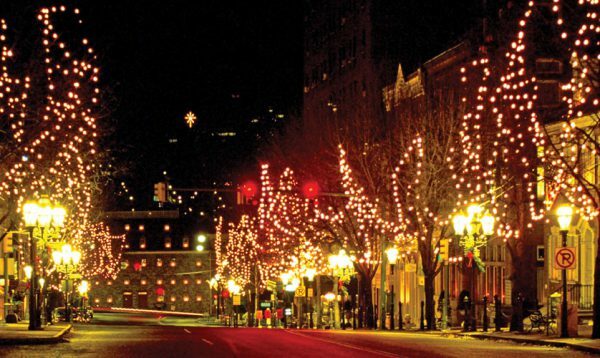 The weather during Christmas time is pleasant and enhances the visitors’ experience. You can visit the gothic churches and cathedrals to witness the vibrant colors and lights of Christmas décor. The quaint yellow colonial houses, beautifully decorated streets, a bonfire at the beach and the festive ebullience in the atmosphere will make every moment of your trip worthwhile. Insider’s Tip: Chennai is the nearest international airport that connects it to major cities in India. Pondicherry is just at a distance of 155 KMs from Chennai, so, the other feasible option is to take a car rental in Chennai and drive through the beautiful E Coast Road, traveling at your own pace and in full comfort and exploring every part of it. Manali is the perfect getaway for those who dream of celebrating a white Christmas midst snowflakes and chilling weather. 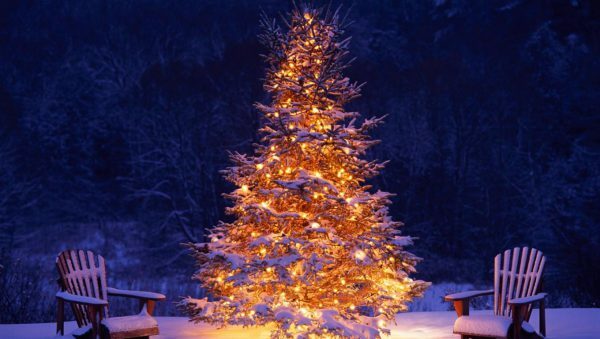 The exotic pine trees, resembling a Christmas tree, are beautifully adorned with lights and confetti, which is a sight to behold during the night. You can indulge in winter sports – skiing, snowboarding, etc. ; hang out at the chic cafes, or just sit by the fireplace sipping wine in your cozy log huts, admiring the frigid weather outside. Insider’s Tip: Bhuntar is the nearest domestic airport, while Delhi is the closest international airport. 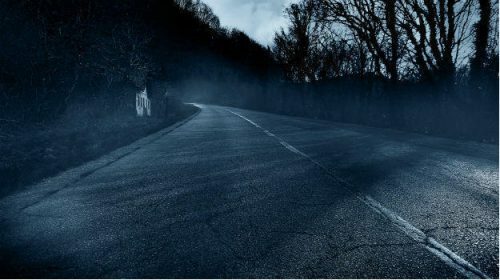 The best way is to take a self-drive car from Delhi and travel via NH 44 and you can make a halt at some popular destinations on the way like Chandigarh, Mandi, Kullu, etc. Shillong is undoubtedly one of the most beautiful hilly regions in the North-Eastern part of the country and since not many people visit the place during December, it can be an ideal destination on your bucket list for a Christmas celebration experience that is exhilarating yet peaceful. With a considerable population of Catholics, the Christmas celebration is a month-long affair here. The streets and churches are decorated with scintillating lights; people prepare traditional cuisine and participate in evening mass, singing carols and hymns to joyfully celebrate the birth of Lord Jesus. For a relaxing and fun-filled evening, you can go to a nearby pub or a café to catch a local band playing gospel music and local artists showcasing their talent. Insider’s Tip: The nearest airport to Shillong is Umroi Airport near Barapani, which is about 25 KMS away. 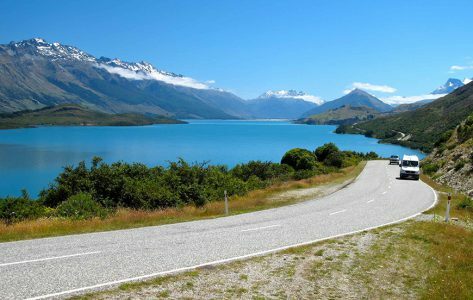 The most suitable option is to take a self-driven car on rent to drive down from Guwahati as the drive is only around 100 KMS and is extremely beautiful and offers breath-taking backdrops to make a halt and click some memorable pictures. The Union Territory has a pleasant way of celebrating Christmas due to its colonial Portuguese influence. 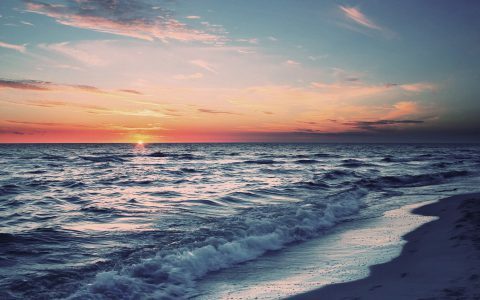 Situated off the Gujarat coast, the otherwise quiet Daman and Diu becomes lively and bright during the Christmas season. With several cultural shows, Corridinho (Portuguese dance) shows, midnight mass in the many churches located here, children singing carols and hymns, beautifully adorned streets and vibrant lamps brightening the night sky, there’s no reason one shouldn’t visit Daman & Diu during Christmas. Insider’s Tip: Mumbai is the closest international airport, connecting Daman and Diu with other major cities in India. From Mumbai, you can take a self-drive car rental Mumbai and drive down via NH 8 to Daman & Diu, which is just 193 KMS from Mumbai.